If you were injured in a taxi accident that occurred because the driver and/or cab company was negligent, you may be entitled to receive financial compensation for your injuries. But determining which parties bear responsibility for the crash can be a difficult process, which is why it’s imperative to contact an experienced Fort Lauderdale taxi accidents lawyer if you were in a wreck, say while being transported home from Fort Lauderdale-Hollywood International Airport. At Gonzalez & Cartwright, P.A., we have the experience and determination you’re looking for. 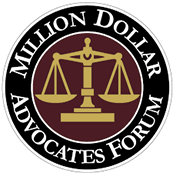 For one, we can evaluate your case and explain the potential paths to receiving financial compensation. We can also reduce the stress associated with recovering from a taxi accident by representing you in discussions and negotiations with the taxi driver’s insurance company and/or employer. And because we’ve encountered just about every accident scenario that could possibly occur, it’s more likely than not that we’ve already handled a case much like yours. Aggressive driving, which can include speeding, tailgating and swerving in and out of lanes. Texting or talking on the phone while driving. Operating a taxi under the influence of prescription drugs. Operating a taxi while under the influence of alcohol or other drugs. Unfortunately, the residents and tourists who have been victims of taxi accidents have suffered all manner of serious injuries. The good news is that taxi drivers are considered to be common carriers and are expected to adhere to a heightened standard of care (as compared to regular motorists) when transporting passengers. A bodily injury liability (BIL) policy that provides coverage of at least $125,000 (per person). BIL coverage of $250,000 (per accident or occurrence). $50,000 in property damage liability (PDL) coverage. Of course, in cases involving serious or catastrophic injuries, these coverage limits aren’t nearly enough to appropriately compensate victims, yet another reason to hire an experienced South Florida personal injury lawyer, one who can help get you full and fair compensation from the responsible cab company or other negligent parties. You also want to retain an experienced Fort Lauderdale personal injury attorney that is ready, willing, and able to take your case to trial, if necessary. Present and future lost earnings. If you or a loved one has been injured in a taxi accident in South Florida, we encourage you to contact Gonzalez & Cartwright, P.A., either via phone call or online, to schedule a free initial consultation to review the circumstances surrounding your accident and talk about your options for pursuing financial compensation. 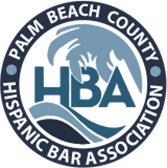 Most of our attorneys and staffers are bilingual and we have a proud history of serving the local Hispanic community. Our main office is conveniently located on Lucerne Avenue in downtown Lake Worth across from City Hall, but if that’s not convenient for you, we are available to travel to your home or hospital room. Weekend and evening appointments can be arranged as well. FAQ: Does Florida’s “no-fault” insurance law apply to taxi cabs? Florida’s no-fault insurance law does not apply to taxi accidents as taxis are excluded from the statute. Instead, taxi drivers are required to carry the aforementioned bodily injury liability coverage and property damage liability coverage. FAQ: What does it mean that a taxi is a “common carrier”? An individual or business that transports people or goods is considered to be a common carrier. Typically a common carrier offers its services to the general public and is regulated by the government, hence the specific insurance requirements that apply to Florida cab drivers. A common carrier is also typically held to a higher standard of care and might be found negligent even when an ordinary driver might not be found negligent for the same conduct.